The National Center for the Victims of Crime estimates one in four girls and one in six boys will be sexually abused before their 18th birthday. Recent events at Penn State have sparked national attention around this issue, which is typically shrouded in silence and often unreported. 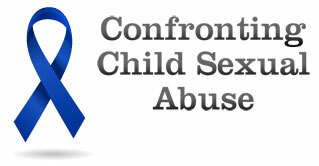 How can society recognize child sexual abuse? What can people do to prevent it? And what resources are available to victims and their families? Lucy Johnston-Walsh, J.D., M.S.W. is the clinic supervising attorney for the Children’s Advocacy Clinic, part of the Penn State Dickinson School of Law. A former state and federal lobbyist for a child advocacy organization and past chair of the Pennsylvania Bar Association Children's Rights Committee, Johnston-Walsh directs the clinic’s operations and supports its mission to serve children and advocate for legislative issues related to children in the welfare system. David Finkelhor, Ph.D. is the director of the Crimes against Children Research Center at the University of New Hampshire. He’s also the co-director of the Family Research Laboratory and a professor of sociology. He has been studying the problems of child victimization, child maltreatment and family violence since 1977. Pamela G. McCloskey, M.Ed. is a licensed psychologist at McCloskey Counseling Center in Milesburg, Pa. Since 1980, she has provided therapy to children and adolescents who have been abused. She’s received specialized training in the areas of forensic interviewing, sexual victimization issues and sexual acting-out behaviors. Matt Bodenschatz is a survivor of child sexual abuse. A native of Cambria County, Pa., the 38-year-old is currently an adult learner at Penn State. He recently shared his experiences with the public through an open letter to the Centre Daily Times newspaper. During 30 years in broadcasting, Patty Satalia has worked as a news anchor, talk-show host, public affairs manager, and producer. She has conducted more than 5,500 interviews for WPSU and has earned Mid-Atlantic Emmy Awards for public affairs and entertainment programming. To find a sexual assault center, click on “local centers” in the yellow bar to find a listing of all 51 sexual assault centers in PA.
Crisis Intervention, services, education, and advocacy in Centre County. The nation’s principle information and resource center regarding all aspects of sexual violence.